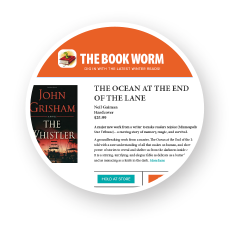 Handseller's Outbound Marketing - is designed to match books (including Pre-Orders and Front Lists) to your customers’ reading preferences. Users can specify what their interests are, when they want to be notified and how. Through the Console you can send email notifications, on an OPT IN basis, and post personalized announcements. The process is simplified through the use of Handseller's graphic templates and can be automated to the degree of your choice. Find customers for a book - Set on Auto Mode this remarkable tool will find every customer who has requested to be informed when books that fit their reading preferences arrive in stock and match them to titles new to your inventory. If you're a bit more hands-on and would like to schedule your emails yourself simply opt for the Custom setting. Whichever mode you choose, the Handseller system always applies rules that limit emails based on relevancy, frequency and customer engagement preferences. Invite customers to an event - The Handseller Website Tile offers your customers a way to tell you when and how they want to be notified about certain store events. Handseller can also help your store identify customers who might be interested in a particular event, based on their reading preferences. For example - a customer whose purchase history is weighted toward self-help books may not attend many literary readings, but might be interested in an author event for a book about Positive Intelligence. Make personalized offers - Through the Outbound Marketing , Handseller gives a bookstore the power to market through a “bookstore of one.” By turning on specific, targeted web offers, booksellers can assure that their customers are getting deals and offers that are of specific interest to them. For example - a customer who has demonstrated a preference for a specific genre - literary fiction, mystery, biography, etc. - will be greeted with new titles (or new used books) in that genre each time they visit your site. Customize a campaign - Handseller understands that sometimes customers only want certain kinds of offers and makes it possible to tailor your marketing to accommodate those preferences.